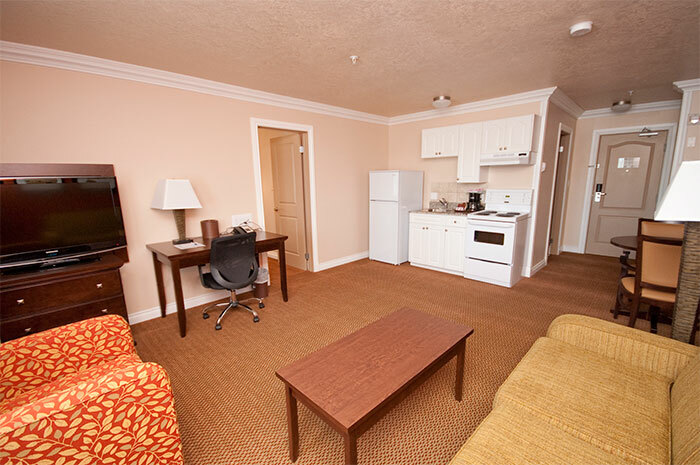 Attractively furnished and immaculately maintained, our clean, modern hotel rooms offer all the comforts of home. Every room and suite comes standard with fibre optic wireless Internet, a 40” LCD TV, high-definition cable, Starbucks coffee and Tazo® tea, ergonomic office desk and much more. Pamper yourself in spa-like bathrooms featuring heat lamps, granite counter tops, and complimentary luxury skin care products. 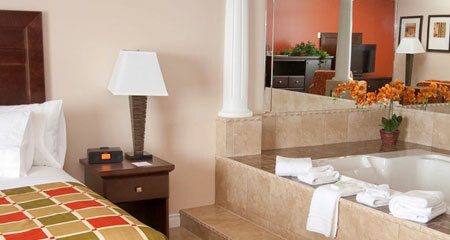 No matter which room or suite you choose, you can count on the highest levels of quality and cleanliness. Choose a room or suite to suit your needs and budget and, when you’re ready, book online for our best rates. Designed with the comfort and convenience of our corporate guests in mind, our Executive Room features plush king bed and an oversized layout with full living room set. Stay connected with ultra-fast fibre optic Wi-Fi, watch HD movies on the 40” LCD TV, savour in-room Starbucks coffee and much more. Enjoy the privacy of a separate bedroom and living area in this attractive suite featuring a couch, armchair, office desk and LCD TVs in both the bedroom and living room. 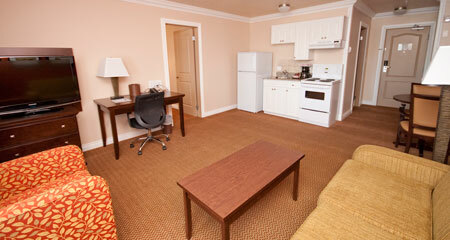 All our standard amenities are included like free high-speed Wi-Fi and in-room Starbucks coffee. 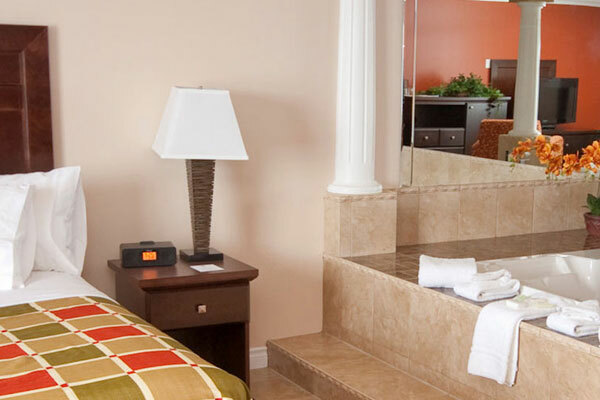 Pamper yourself in our luxurious Jacuzzi Suite, featuring a beautifully appointed in-room, 2-person Jacuzzi tub. 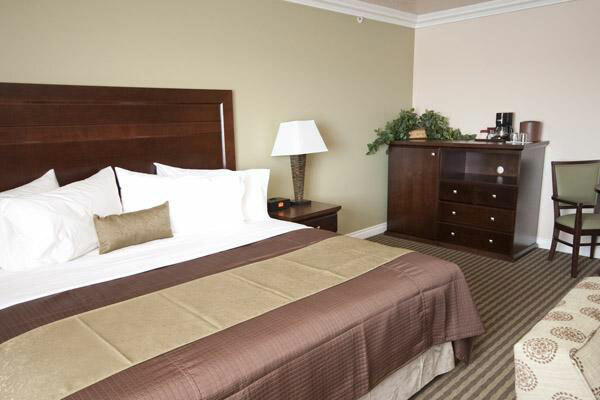 Relax on a luxury, pillow-top king bed while you watch the latest movies in HD on the 40” LCD TV. Enjoy the soothing touch of massaging shower heads and rejuvenate with complimentary skin care products. 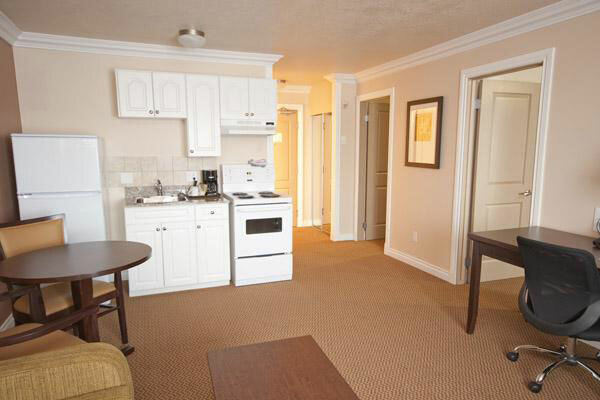 Featuring a kitchenette with full-size fridge and stove, our 1-Bedroom Suite will make you feel right at home. The living room includes a couch, armchair, office desk and 40” LCD TV. 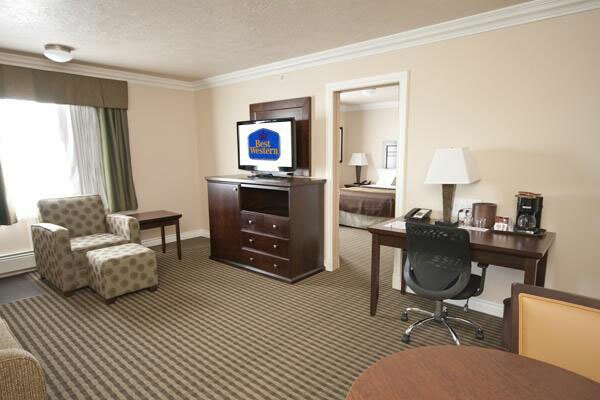 In the bedroom, you’ll find a plush queen bed and a 32” LCD TV. Enjoy free Wi-Fi, HD cable and much more. 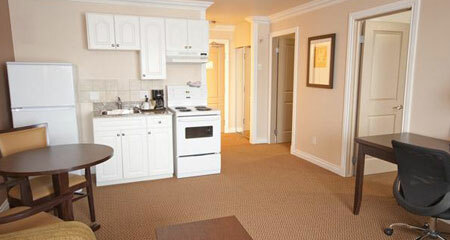 Perfect for families and groups, our spacious 2-Bedroom Suite features a kitchenette with full-size fridge and stove. 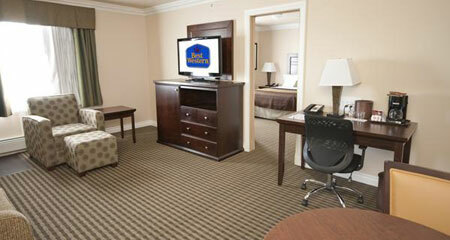 Each bedroom is furnished with a queen bed and 32” LCD TV. In the living room, you can relax on a couch and arm-chair, watch HD movies on the 40” LCD TV or catch up on work at the ergonomic office desk. Travelling with your canine companion or feline friend? No sweat! We are happy to allow your pet to stay with you in your room. A small nightly cleaning fee applies. Please no large dogs. For more information on our pet- friendly policy, please contact the BEST WESTERN PLUS Mirage Hotel & Resort.